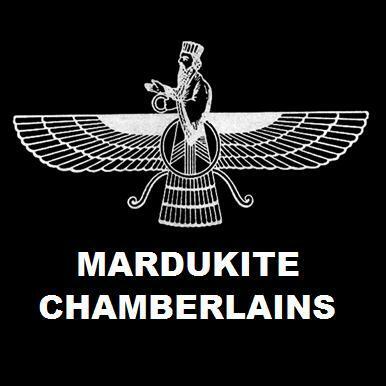 A Complete Course in the Sumerian & Babylonian Mardukite System and Self-Initiation Curriculum For Modern Revivalists developed in 2008-10 by the Mardukite Chamberlains of the Mardukite Research Organization (Mardukite Ministries). Accept No Imitation! This is the Real Original Deal! The word “complete” is thrown around too loosely in the modern literary age. So many interpretations of the “Necronomicon” and “Anunnaki Legacy” and “Ancient Aliens mythos” have emerged from the New Age Movement. The last several years have also been blessed by the amazing contributions from the modern Mardukite community, focused self-honestly on the identity and natures of the Anunnaki Sky Gods who appeared in ancient times and at the heart of all the global traditions on the planet! 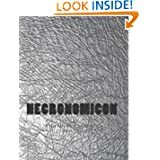 NECRONOMICON: THE ANUNNAKI LEGACY EDITION contains the Mardukite Year-1 and Year-2 core literary cycle for modern revival interest with the full text from two original anthologies: “Necronomicon Anunnaki Bible” and “Gates of the Necronomicon.” 7-Books-in-1 — A master compilation of mystical exploration into the heart of ancient mysteries, this newly revised and expanded 2013 SILVER EDITION presentation of the complete “Necronomicon” Anunnaki Legacy illuminates revolutionary teachings and source materials of the Sumerian-Babylonian-Anunnaki Tradition of the Mardukite Research Organization, edited by Joshua Free. NECRONOMICON: THE ANUNNAKI LEGACY (2013 SILVER EDITION) is a highly innovative anthology of seven core books in a single incredible compilation! This work has been revolutionizing the modern occult and spiritual communities in unveiling the truth of such aspects as – Sumerian Anunnaki, Babylonian Religion, Mesopotamian Magick, Mystical Portals and Magical Gateways or Stargates, Hermetic Occultism, Arcane Esoterica, both the “Simon” and Lovecraftian lore regarding the concept of the “Necronomicon”, and of course this contemporary idea of an Alien Illuminati and New World Order. This massive and beautiful 820+ page oversized tome contains the complete text to seven libros otherwise available as the “Necronomicon Anunnaki Bible” (Fifth Edition) and “Gates of the Necronomicon” (Second Edition). Included stand-alone materials by Joshua Free (also available separately) are: “Necronomicon” (Liber N), “Necronomicon Liturgy & Lore” (Liber L), “Necronomicon Gatekeeper’s Grimoire” (Liber G), “Nine Gates of the Kingdom of Shadows” (Liber 9); the complete “Year 1” cycle found in the “Necronomicon Anunnaki Bible” (Fifth Edition) plus the complete “Year 2” cycle collected in the “Gates of the Necronomicon” anthology, “Sumerian Religion” (Liber 50), “Babylonian Myth & Magic” (Liber 51) and “Necronomicon Revelations” (Liber R).